Believe Dream Create with Maria: StencilGirl September StencilClub...Frida Kalo! I have been SUCH a BAD blogger. This week to make up for it! I am posting EVERY day this week! Today I'm going to show you one of the projects that I made with the EXCLUSIVE stencils designed by Pam Carriker for this month's StencilClub from StencilGirl. Here are the stencils incase you haven't seen them yet. 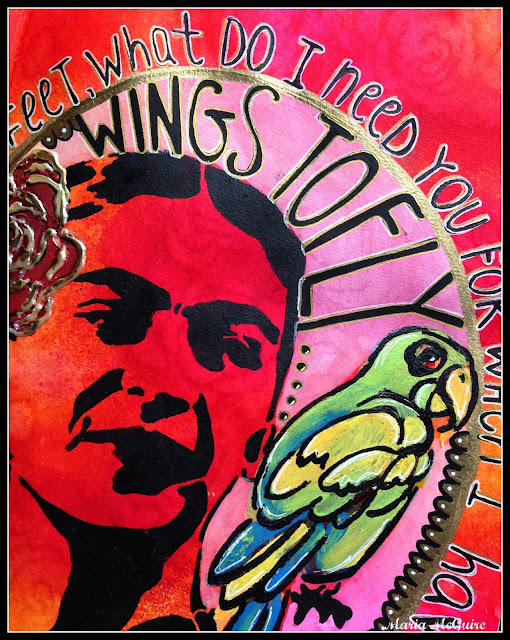 I did two projects with these stencils. 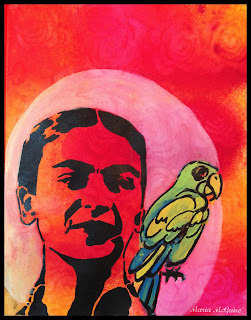 The other will be on the StencilGirl Talk Blog tomorrow. 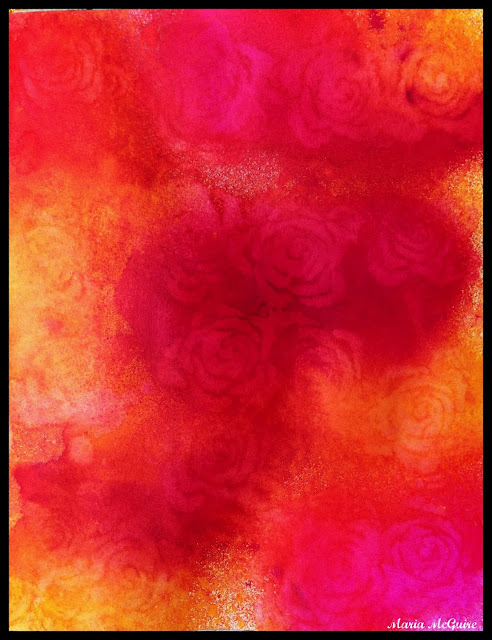 I started in my journal with some Dylusions Spray Ink and using the ghosting method that Dyan Reaveley uses with her inks with the rose stencil. This rose turns out just BEAUTIFUL!! 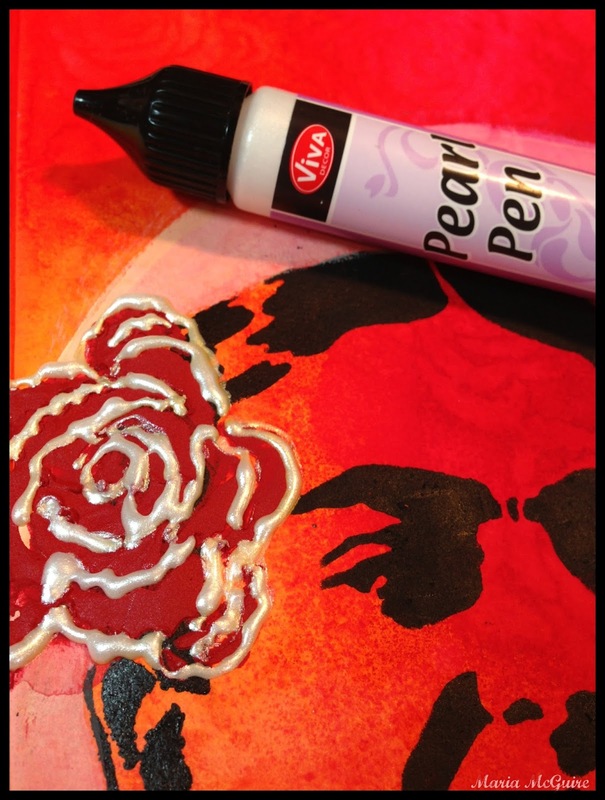 Then I moved on to the stencils and used some red texture paste through the rose to make a floer in her hair. More texture was added with a Viva Decor Pearl Pen. I am in love with these stencils. So many options as I will show you in my post tomorrow on StencilGirl Talk. 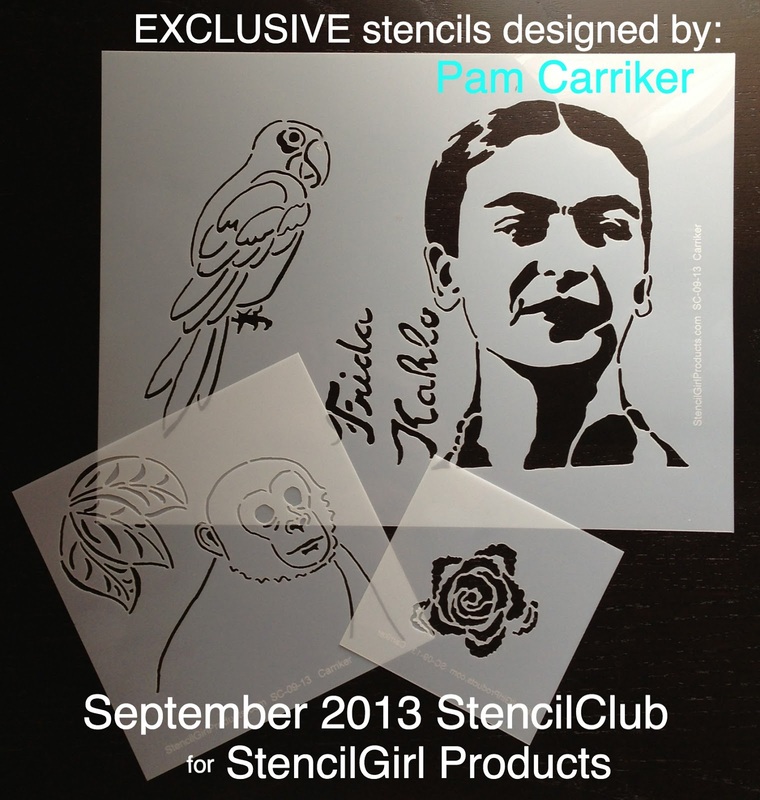 Need to know more about StencilClub?? You can find out on the StencilGirl Products Website! 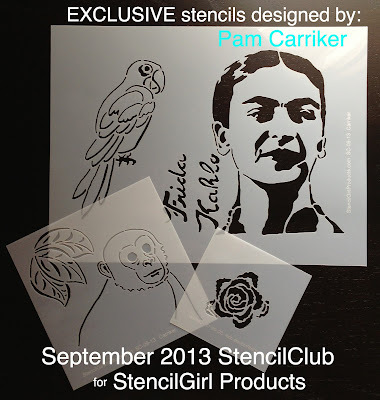 You only have until the 12th to get your hands on these EXCLUSIVE stencils and then they are GONE! OMG! I love this! The colors you've layered on the parrot! 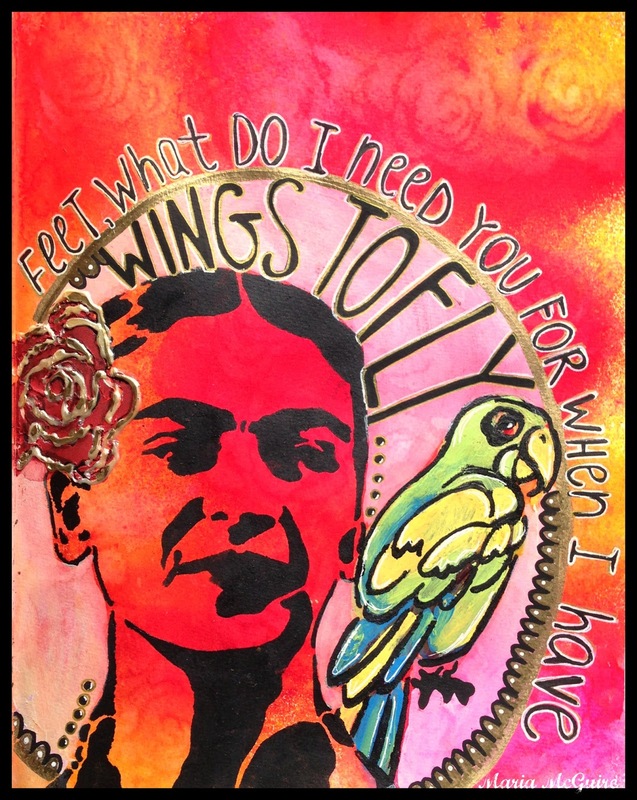 The addition of the circle and the letter give it such an amazing perspective- the way you worked the quote in- WOW!!! Did I mention WOW? Oh I love how you incorported all the stencils! Awesome page. Those colors.. wowie... Hey, and don't be apologizing about not blogging. Believe me.. I know first hand... and I know you do, too. Gorgeous page, Maria. So rich and love vibrant!